Graphic file that have embroidery designs pes format can now be converted into embroidery by the help of digital embroidery mode. Graphic in pes are available at embroidery shops as well as these can be free pes embroidery designs which are commonly available on the internet. For e.g. if you write free embroidery designs pes in the tab of Google, a large list of free pes designs will appear on the display of your laptop or personal computer. PES file format is required for the stitching of embroidery designs and patterns in case of particular embroidery machines for e.g. Babylock, Bernina or Brother etc. trial & error is usually seen in case of the conversion of any graphical file I the format of pes format for the purpose of embroidery. The creation of Pes embroidery designs from the graphics involve the editing of the graphics as well as the digitizing of the graphics. The graphic software is opened in your laptop or personal computer. The graphic which you want to convert in the pes file format is opened or loaded in the window of graphic editing software program. The graphic is resized, reshaped etc as per as require in comparison with the embroidery design. The selection of the graphic is highlight. It should be ensured that the file format of graphic is not CMYK rather it should be present in the RGB file format. Is this condition is not fulfilled already, then highlight the graphic and in the mean while required conversions are carried out. This graphic file is saved in the form of a vector image. The graphic editing software program is closed. The embroidery digitizing software is opened. In the window of the embroidery digitizing software, the edited form of the graphic i.e. the vector image is loaded or opened. The type of the fabric is selected for the embroidery of the embroidery designs. then the user guide of the digitizing software is read for the rectification of the problem. 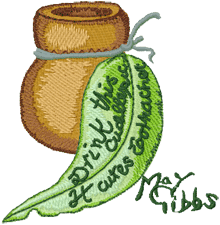 After the completion of digitization, click complete or finish tab of the embroidery digitizing software. On a flash driver, the image which is digitized now will be saved in the format of pes file. The program will be closed after then.